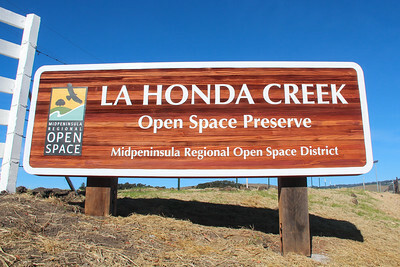 On Thursday, November 30, 2017 The Midpeninsula Regional Open Space District held a ribbon cutting with partners, elected officials and the public, marking the grand opening of La Honda Creek Open Space Preserve. 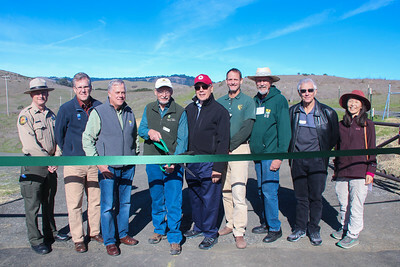 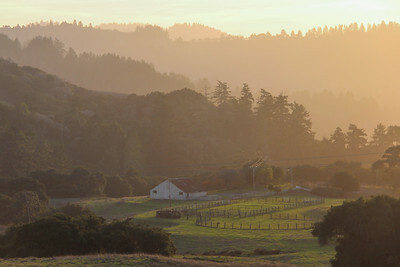 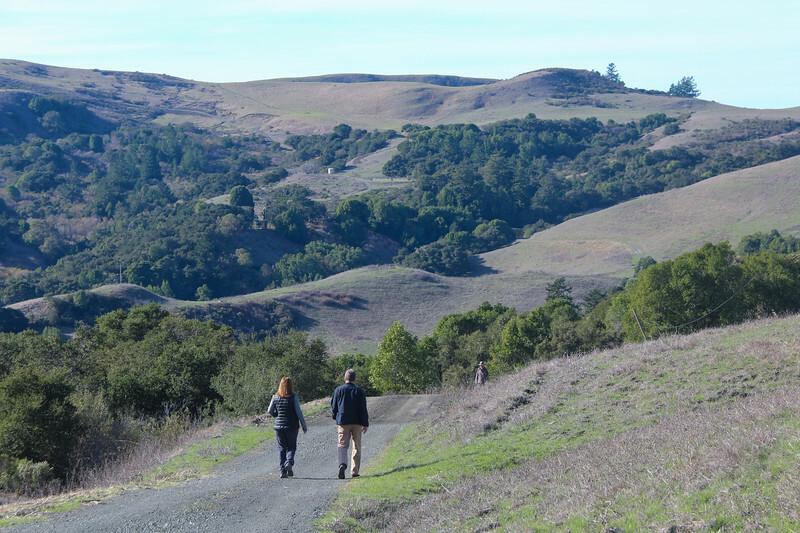 From a new parking lot at the end of Sears Ranch Road, hikers and equestrians now have free daily access to six miles of trail through forest and ranchland with panoramic coastal views. 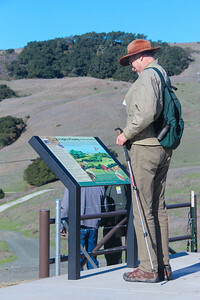 A visitor reads the interpretive signage at La Honda Creek Open Space Preserve. 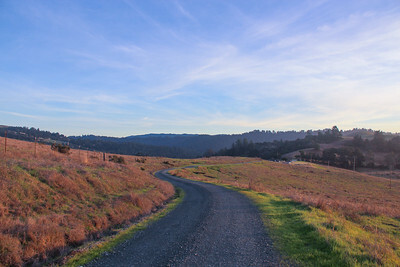 Wide open ranch roads are open for exploration. 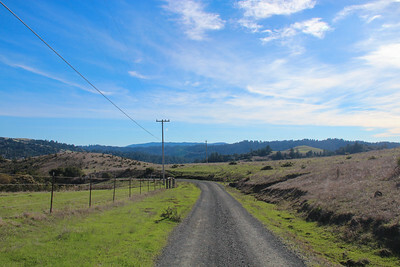 Harrington Creek Trail runs through active grazing lands. 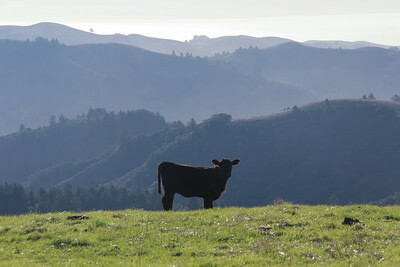 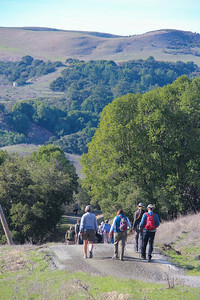 Trails run through an active grazing operation, and visitors may encounter cattle and ranchers. 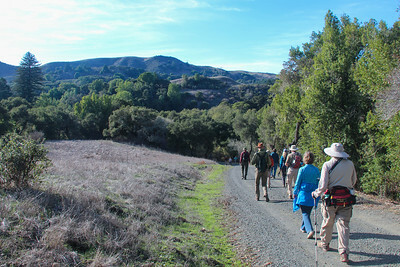 Visitors on the newly opening Harrington Creek Trail.